Saab Parts Cheap is the leading online source for wholesale, genuine Saab parts and accessories. We stock nothing but genuine OEM Saab parts to help you keep your vehicle running just like the day it drove off the showroom floor. Why are OEM replacement parts and accessories the most reliable products on the market? Only OEM parts and accessories are built to meet the exact specifications of your particular Saab model. Not only will our OEM Saab parts restore your vehicle to its originally intended condition, their quality and superior workmanship mean they will keep your vehicle at its best. When you need replacement parts for your Saab vehicle, Saab parts cheap is the most trusted source for obtaining the best parts at the lowest available prices. You no longer have to consider purchasing inferior products to stay within your budget. Thanks to our ability to maintain a huge inventory of OEM Saab components, we are able to offer consumers incredible discounts and bargain prices on all genuine Saab replacement parts and accessories. If you know your vehicle's VIN or the part number you are looking for, you may enter it above to narrow your search. Don't have all the details just yet? No problem. 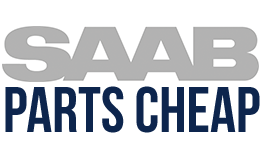 Simply select your Saab's model and the year from the list to browse our secure online catalog. Please keep in mind that we do NOT ship to International locations. Thank you for shopping at SaabPartsCheap.com!